The fate of wildlife in Canada is in our hands. WWF-Canada’s Living Planet Report Canada shows that wildlife is on a troubling decline. It’s time to come together and turn things around. It’s easy to assume shocking figures of wildlife decline don’t apply here in Canada. Ours, after all, is a country of wide open spaces with ample room for grizzlies and gannets, belugas and bass, salamanders and swift foxes. With the best available science, we created a national Living Planet Index to measure Canada’s ecological performance, similar to how the stock market index measures economic performance. The effort marks WWF’s 50th anniversary in Canada and aims to gain the knowledge necessary to show us all what needs to be done to preserve Canada's rich natural bounty. Sadly, our research shows wildlife populations in Canada are in serious and significant decline. Even more surprising, the numbers for at-risk species, those protected by law, are just as bad – if not worse. In order to reverse that decline, we need to act now: Individually; in our communities; at work and through our governments. Wildlife loss is not someone else’s problem. It’s a Canadian problem. From 1970 to 2014, half (451 of 903) of monitored wildlife species in Canada declined in abundance. This is true for all monitored wildlife groups, from mammals, to fish, to birds, to amphibians and reptiles. Of the other half monitored, 407 species showed increases in abundance, and 45 species showed stable trends. While these success stories are encouraging, the discovery that half of the monitored wildlife in the study are in decline cannot be ignored. For the half of monitored species with declining trends, the Living Planet Index shows, on average, a decline of 83 per cent, from 1970 to 2014. At the federal level in Canada, the primary legal mechanism for protection of imperiled species is the Species at Risk Act, or SARA. SARA was adopted in 2002, but our analysis has shown that since that time, listed populations have continued to decline by an average of 28%. Our results suggest that the rate of decline of these at risk species may have actually increased (to 2.7 per cent from 1.7 per cent) despite protections afforded by SARA. We need to take steps now to make sure that our protected species are exactly that: protected. Habitat loss is the greatest threat to species in Canada, from forestry, agriculture, urbanization and industrial development. City growth doubled over the last century; almost 216,000 square kilometres of intact forests were disturbed between 2000 and 2013; over 80 per cent of original wetland habitat was converted; and dams and canals altered habitats. In Canada, the rate of warming has increased at nearly double the global average. Oceans are warming and becoming more acidic; seasons are shifting. Species are feeling the effects in different ways – the most vulnerable are long-lived, slow to reproduce, require specialized habitats and foods, and are unable to move in response. Though some persistent chemical pollutants (e.g., DDT, PCBs) have been banned or tightly restricted for use, other pesticides and pollutants remain, including sewage effluent and agricultural runoff, plastic waste and microplastics. Heat, noise and light pollution also disturb wildlife and transform environments. Introduced species compete with native species for space, food and other resources; and some prey on native species. As human travel and transport of goods increases, coinciding with climate-driven ecosystem changes, the rate of invasions i s gaining momentum. Overexploitation has taken its toll. Marine fish along our East Coast (such as cod) have been the most affected. Bycatch is a compounding factor; porbeagle sharks in the northwestern Atlantic, for example, have been reduced to just a quarter of their 1961 population through commercial fishery and as bycatch. The effects of these aforementioned stressors are cumulative and cascading (changes in the status of one species triggers changes in the other). At-risk species face more than two broad-scale threats (on average) at the same time. For instance, wolverines at the southern and eastern portions of their Canadian range are experiencing habitat loss and fragmentation from both climate change and increasing development, as well as a shortage of food as woodland caribou populations decline. The beluga of the St. Lawrence estuary is the most southerly wh ale of its kind. Once considered a prime source of oil, it was harvested in huge numbers. In the 1920s, when cod stocks suddenly declined, fishermen blamed the St. Lawrence belugas. In 1928, the Quebec government handed out rifles and offered a $15 bounty for each beluga killed. Soon after, Quebec authorized aerial bombing of belugas for a few years. By the late 1970s, the population had dropped to a tenth of its historical estimated population size; a hunting ban was implemented in 1979. 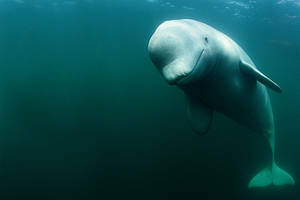 Though the St. Lawrence beluga was SARA-listed as Threatened in 2005, a recovery strategy – including a plan to protect vital summer habitat – was repeatedly delayed past the 2007 deadline. It wasn’t until 2012, with the population hovering at approximately 900 whales, that critical habitat was finally identified and the recovery strategy was published. Still, legal protection of the area was delayed until 2016. The St. Lawrence beluga was uplisted to Endangered in 2017. A safe, disturbance-free habitat is essential to the whales, which continue to suffer from contaminants in the food chain, prey-fish availability, entanglement in fishing gear, the effects of climate change, shipping activity and disease. The piping plover’s pale brown, grey and white feathers make it hard to spot as it forages along retreating waves or nests at the back of wide beaches. When beach-goers and their pets disturb nests, the wary birds abandon them. More humans on beaches, more waterfront cottages and other landscape alterations have battered the plover’s populations in Canada, and in its wintering grounds on the coast in the southern U.S. In the prairies, agriculture is a stressor. One-third of the global breeding population is found in Canada, but their numbers have dropped by more than a quarter since 1970. 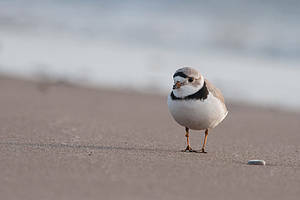 The piping plover was listed by SARA as Endangered in 2003. The recovery strategy was finalized in October 2006. In recent years, a small number have returned to the Great Lakes to breed – they were previously extirpated there as a breeding species. Before the plover came under the federal program, conservation efforts to rescue and recover the species were already underway. The education of land owners and beach goers, as well as the introduction of programs to protect nests and young with cage-like predator enclosures, are offsetting some of the declines caused by disturbed habitat. The piping plover has become conservation-dependent. 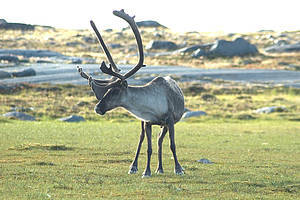 Barren-ground caribou herds graze and travel across enormous stretches of the Arctic, their journeys taking them between the wintering grounds of the northern boreal forest and their traditional tundra calving grounds, where generation after generation from the same herd return to have their young. More than two million caribou ranged across the Arctic in the early 1990s, but t he population total is now estimated to be about 800,000. Several of the largest herds have shrunk by more than 90 per cent from their peak numbers. In 2016, COSEWIC assessed the barren-ground caribou as Threatened. Climate change is warming the North faster than anywhere else in the world. The higher temperatures bring unseasonal rains that freeze to ground-glazing ice, preventing caribou from reaching lichen and plants they need to survive. At the same time, the altered climate is creating opportunities for industry – mining, tourism and shipping, among others – which could disturb calving grounds or disrupt migration corridors. Managing the harvest becomes difficult when herd numbers are dangerously low. The Government of Nunavut – home to most of the calving grounds – is developing an overarching land-use plan that will set a path for development and conservation in the territory. This cat-size fox was once at home in grasslands throughout Canada’s southern prairies, of which 80 per cent have now been converted to intensive agricultural use. Along with losing habitat, swift foxes were also caught in traps and died by poisoning by some land-owners. The last sighting of a wild swift fox was in 1938. In 1973, swift foxes were brought from the U.S. for a captive breeding program, and reintroduction of the swift fox into the wild in Saskatchewan and southern Alberta began 10 years later. After being declared extirpated (locally extinct) from Canada in 1978, the swift fox population had grown to 647 in 2009. (However, captive breeding is not always successful: One-third of species reintroduction efforts fail.) 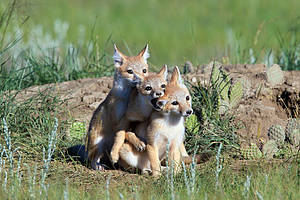 While the swift fox status moved from Endangered to Threatened under SARA in 2012, the current population of swift fox only occupies three per cent of its former range. In the shallows of Canada’s large lakes and rivers, enormous lake sturgeon – which can live to 100 – scour the bottom for insect larvae, snails and crayfish. Graceful and shark-like, covered in large bony plates, the country’s largest freshwater fish has, for 200 million years, overcome every threat – until now. After decades of historical commercial overfishing, as well as hydroelectric dam building, lake sturgeon populations have declined and, in some regions, disappeared. 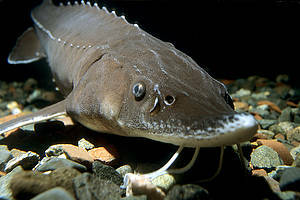 They are slow breeders: Female lake sturgeon spawn once every four to six years, while males spawn every two to seven years. Eight populations were assessed by COSEWIC as at risk in 2007, including Endangered populations in Nelson River and Western Hudson Bay. The recommendation for listing these populations was put to consultation, which extended until 2012. As of summer 2017, a listing decision has not been made, and lake sturgeon remain without SARA protections. A recent study suggests their economic value for commercial harvesting may be delaying a SARA decision. The findings of WWF-Canada’s national Living Planet Index make it clear we need to do more to protect species at risk, and to halt the decline of other wildlife before they land on the at-risk list in the first place. We need actions from all corners of society – from communities, industry, government, all of us, collectively. As ecosystems are put under increasing pressure, and as the bad news mounts, individuals can feel powerless to make a difference. That doesn’t have to be the case. By helping to monitor wildlife, and protect and restore habitats, individual actions, collectively, will help reverse the decline of wildlife across Canada.